How do they compare? Click below to find out! 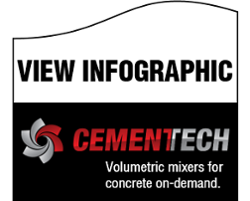 Contact Cemen Tech or call 800.247.2464 to learn more about volumetric concrete mixers. Check out our case studies to see how others are using Cemen Tech mixers. PreviousPrevious post:Mobile mixing solves serious concrete supply problemNextNext post:How Do Volumetrics Work?